If you’re thinking that the above image looks like a champagne bottle filled with Malibu rum, then bingo. That’s exactly what it is, and it tastes exactly how you imagine it. Fill a shaker with ice. Add peach lqueur, amaretto, 7-up, and grenadine syrup. Shake. 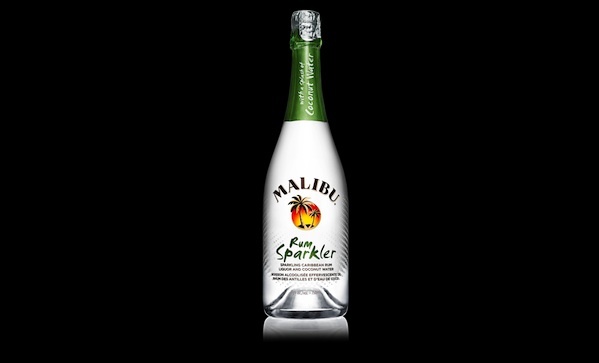 Strain into a glass, and top with Malibu rum sparkler. Fill a tumbler with shaved ice. Add pineapple juice, then 151 proof rum, then Malibu rum sparkler. Stir gently. Pour Malibu rum sparker into an ice filled glass, fill with pinapple juice. Add splash of grenadine.